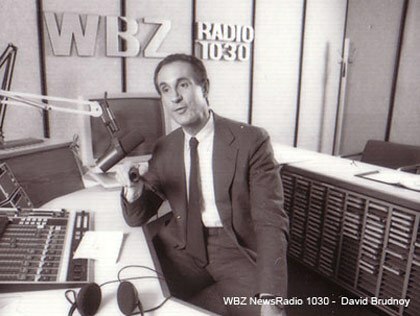 With an impressive knowledge of world events and a courteous way of discussing even the most contentious issues, David Brudnoy was unique among talk show hosts. In a world of angry talk shows, David Brudnoy’s show was unique. It was interesting and informative, but it was always civil. Brudnoy was a scholar, with a thorough knowledge of world events, yet he never talked down to his callers nor shouted at his guests. He was a libertarian and a conservative, but he had friends on both sides of the political divide. He was known for being fair was often praised for his thought-provoking take on the issues. Thanks to WBZ Radio’s signal strength, Brudnoy had fans in 38 states. To this day, many of them believe there will never be another talk show host like him.